As I think of the Partition that happened 71 years ago, it feels like a memory. Though I do not possess any personal narrative of it, yet it feels like I do have one – so personal that it invokes emotions. This owes to the Partition of 1947 being a national memory in both India and Pakistan to this day. A memory that, as Pakistani historian Ayesha Jalal notes, “continues to influence how the peoples and states of postcolonial South Asia envisage their past, present and future”. Despite this eminence, it feels like there is a dearth of narratives; stories that remain to be told and heard, dialogues that need to take place. The memory of the Partition itself cannot be sealed off, and this article is an attempt towards this. I bring together lived and inherited memories and delve into the everyday lives of six families to explore how they encountered the Partition, and the meaning(s) they attach to it. 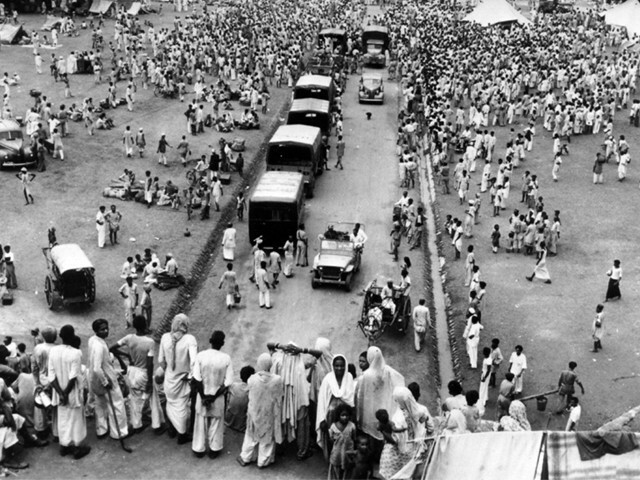 The Partition recorded one of the largest mass migrations in human history. But why did people migrate? The Partition that entailed a separate nation for Muslims was seen as an escape from a predicted oppressive future for Muslims, argues Sualeha Batool, a banking professional from Karachi. Batool places the Partition as a desired end to the cycle of oppression. She argues that Muslims had ruled over India for centuries and must have oppressed Hindus in their time, so now when the Hindus got the chance to rule, they would oppress Muslims. This bleak future for Muslims was apparent from the views of the Hindu leaders. There was thus a strong sense of fear and insecurity among Muslims over staying in India, she argues. One reason for migrating was the hope for a better life. Batool shares that while her mother’s family migrated during the Partition fearing the violence that broke out, her father had migrated in the 1960s after a family feud. He shifted to Hyderabad (Pakistan) to stay with some relatives and finally moved to Karachi to start a new life. There were also those who only had the option to migrate. 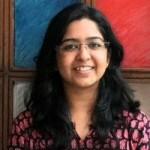 Tulika Bathija, a Mumbai-based educator and peace activist, stumbled upon her family’s history when she found an old passport belonging to her grandfather that mentioned Shikarpur, and eventually discovered that her family – both paternal and maternal – had migrated from Pakistan. Since the Sindhi migrants were scattered, they migrated from different routes. While her paternal grandfather’s family migrated from a border in Sindh, her mother’s family migrated from the Punjab side, and what they experienced sowed seeds of hatred for years to come. Bathija’s maternal grandmother also has both sweet and bitter memories. She misses her ancestral place (Sukkur), and talks fondly about it, but is also entangled in a feeling of loss and betrayal. She feels her home and her life was snatched from her by Muslims. Another family trying to make sense of their crumbling world belonged to Vikram Kalra, a Delhi-based heritage artist, who grew up with the nostalgia of being a Lahori. He recounts that Partition came as a big shock to his family. However, the fate of Lahore remained undecided till the last moment. When eventually Lahore was decided upon, there was chaos and tension across the city. Seeing this, his family members decided to ‘move to India’ for a few days. Confident this chaos will be short-lived, his uncle paid the electricity bill before leaving Lahore so that when they came back, they would not be in darkness. We tend to think of Partition-related violence in terms of Hindus, Sikhs and Muslims, but what about the experiences of other communities? While a Parsi from Karachi believes their community was unaffected, there were some who felt threatened and thus migrated. One such story is that of the in-laws of Mani Mehta, who is now in her 80s and lives in Nagpur. Her father-in-law worked as a manager in the military club in Rawalpindi, Pakistan, while her husband was studying at a boarding school in Bombay. When violence broke out in Rawalpindi, her in-laws decided to move to India. While her father-in-law decided to come later, his wife and children left and boarded a train to reach India. When the train was in Peshawar, a mob of Sikhs entered the compartment and killed all the Muslim passengers on board. When they came towards Mehta’s family, one of the children – who was nine-years-old at the time – mustered the courage to tell them they were Parsis. Hearing this, the Sikhs took mercy and told them they will ensure they reach India safely. As for her father-in-law, he had used the name “Nosherwan” – a name common for both Muslims and Parsis – to pass off as a Muslim, and after some months he moved to India. While her own family had not migrated, Mehta talked about the Bombay of that time hosting the refugees from Parsi and other communities. Besides this, during and post-migration, Parsis from different parts in Pakistan shifted to Karachi. Those who migrated, especially those who were forced to, struggled to start afresh in a land that was not just new but also hostile. Bathija shares that her paternal grandfather was in the shipping business and had contacts in Bombay. When violence broke out, they reluctantly decided to move to Bombay. However, life was not easy after migration. They had to live in rehabilitation camps and start from scratch, doing menial jobs to survive. Post-migration, the Sindhi community also re-invented itself to survive and integrate with the local community. This was also a response to the trauma it faced. According to Bathija, upon migration, Sindhis went from a culture and heritage of religious syncretism to simply seeming more “Hindu”. We know that with time, our borders have only grown stricter. However, this is true not just for both countries, but for the divided families as well. Like Vikram Kalra’s family, the family of Raza, a research student from Lahore, had also thought of the violence during Partition as a temporary disturbance, and hoped to return to Alwar after normalcy was restored – but it never happened. His grandmother died a few years after the Partition, and his family believes it was due to the trauma of being away from her son who had stayed back in India. This also affected Raza’s mother, whose mother died shortly after her birth, leaving her in the care of her eldest sister. Raza’s mother wanted to visit her mother’s ancestral home in India, in the hope that she will be able to experience the essence of her mother there. However, the cruel visa policy did not allow such a visit to take place. A few years ago, the governments of India and Pakistan announced visa on arrival for senior citizens. Raza recounts that he shared this news with his mother and told her that for her, it was now only a matter of a few more years. However, his mother passed away without living her only dream.